A new report from two of China’s leading think tanks points to a decline in the country’s macro-leverage ratio in 2018. The “China Leverage Ratio Progress 2018 Report” (中国杠杆率进程2018年度报告) produced by the Chinese Academy of Social Sciences institute of Economics and the National Institution for Finance and Development, indicates that in 2018 the leverage ratio for China’s real economy saw its first decline since 2011. The decline stands in sharp contrast to the eight-year period from 2008 to 2016 that immediately followed the Great Financial Crisis, when the leverage ratio of China’s real economy rose by over 12 percentage points each year for a cumulative 99 percentage point increase. 2017 marked the start of Beijing’s efforts to contain leverage in the Chinese economy, and saw full year growth in the macro-leverage ratio slow to 3.8 percentage points. Non-financial enterprises were responsible for the fall in China’s macro-leverage ratio in 2018, with their leverage ratio falling to 153.6% from 158.2% in 2017 for a decline of 4.6 percentage points. China’s government sector leverage posted a slight increase of around 0.5 percentage points, rising to 37.0% in 2018 from 36.4% the year previously. The central government leverage ratio saw an incremental rise from 16.4% in 2017 to 16.5% in 2018, while the local government leverage ratio lifted from 20.1% to 20.4%. Local government bonds saw a rapid increase, rising from 14.7 trillion yuan at the end of 2017 to 18.1 trillion yuan at the end of 2018, for a n increase of 23%. During the same period Chinese sovereign bond and municipal investment bond amounts saw increases of 11% and 8% respectively. China’s household sector saw the biggest leverage ratio increase, with a rise of 3.8 percentage points to 53.2% in 2018 from 49.4% in 2017. The 3.8 percentage point increase in the leverage ratio for China’s household sector last year is slightly ahead of the average per annum rise of 3.5 percentage points for the ten year period from 2008 to 2018, which saw a cumulative increase of 35.3 percentage points. As of the end of 2018 China’s household loans stood at 47.9 trillion yuan, including medium and long-term consumer loans of 29.0 trillion yuan, accounting for 61% of the total, and short-term consumer loans, accounting for 18%. Mortgage loans comprised the king’s share of medium and long-term consumer loans, rising to 25.8 trillion yuan as of the end of 2018 to account for 54% of all household lending. While China’s non-financial enterprise leverage saw an overall decline in 2018, this was mainly due to debt restriction efforts amongst private concerns. In 2018 the total debts of state-owned enterprises rose by 16.0%, while industrial enterprises, comprised mainly of private enterprises, saw their total debt increase by just 2.9%. 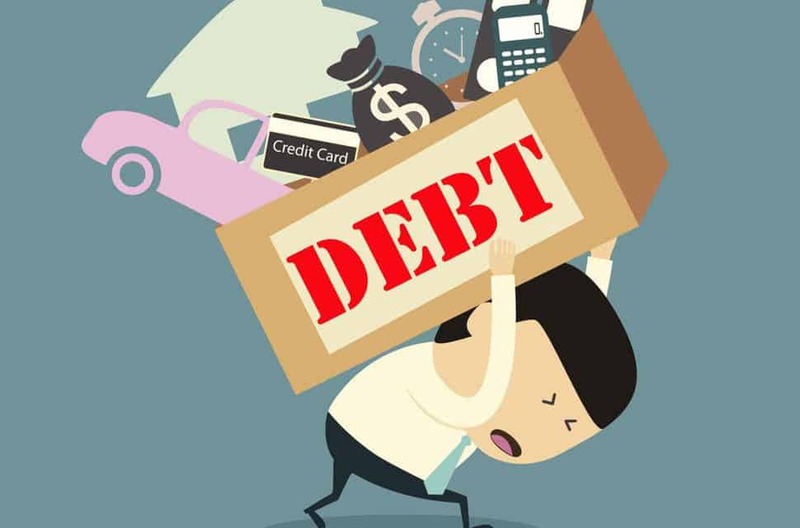 The report estimates that state-owned enterprise debt accounted for 66.9% of all non-financial enterprise debt in 2018, for a rise of 5.5 percentage points compared to 2017. The leverage ratio for China’s financial sector continued to decline, with the asset side leverage ratio falling to 60.6% in 2018 from 70.3% in 2017, and the liabilities side leverage ratio falling from 63.4% to 60.9%, for declines of 9.6 and 2.5 percentage points respectively. Reducing financing costs for the real economy. This entry was posted in Finance, Macro and tagged Chinese debt, Chinese leverage, Chinese macro leverage. Bookmark the permalink.